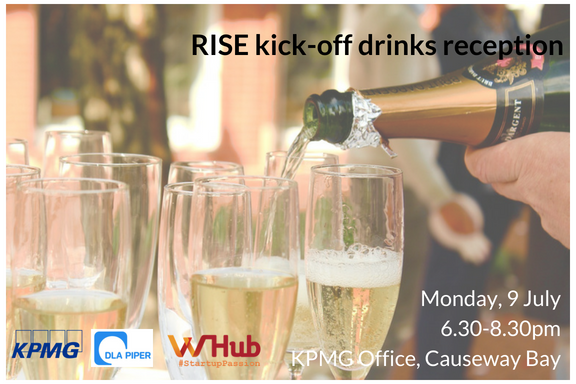 Get set for RISE by joining us at the networking drinks by meeting up with fellow start-ups, investors , founders, VCs and tech-influencers - you name it! As part of the audience, you will participate in a live crowdfunding event. Hong Kong is playing host this week to a global gathering of tech executives, entrepreneurs, investors, startups at RISE conference and becoming Asia’s Tech capital. It’s unique position within the Greater Bay Area and Belt and Road initiative opens the possibility for rapid expansion throughout Asia and globally. Hong Kong is not only a FinTech hub but a diverse, growing and sector agnostic tech hub with startups in various verticals such as: IoT and Hardware, Logistic, TravelTech, Gaming/VR, EdTech, TextileTech and PropTech just to name a few.